Stillwater is a contract brewery (sometimes called a gypsy brewery), meaning they brew their beers at the facilities of other companies. I was first turned onto them when my friend Phil brought one of their beers to our holiday party last year. Stillwater is a brewery that seems to specialize in Saisons, and in my opinion they do them as well as anyone out there. This beer pours a translucent golden color, three fingers fluffy white head that settles out pretty quickly as the CO2 escapes and the bubbles die off. The smell of this beer is typical of Belgian Pale Ales – Brettanomyces yeast (more accurately the products that the yeast produces during fermentation), sweetness from the Candi sugar, fruity esters (always hard to pin down exactly what fruits but I’d say lemons and apples here). Unlike some saisons, like Sophie, this one doesn’t have the tart, acetic acid characteristics. It smells more like a Belgian Strong Pale Ale, such as Brooklyn Local #1. To the taste it is less fruity and sweet than the nose would suggest, with some black pepper spiciness on the finish. On the label it says brewed with sage, and that may be in there as well, but I can’t identify it. The finish is clean and dry. This is an all around great beer. If you like earthy beers with spicy hop profiles you really should find a Stillwater product and give it a try. 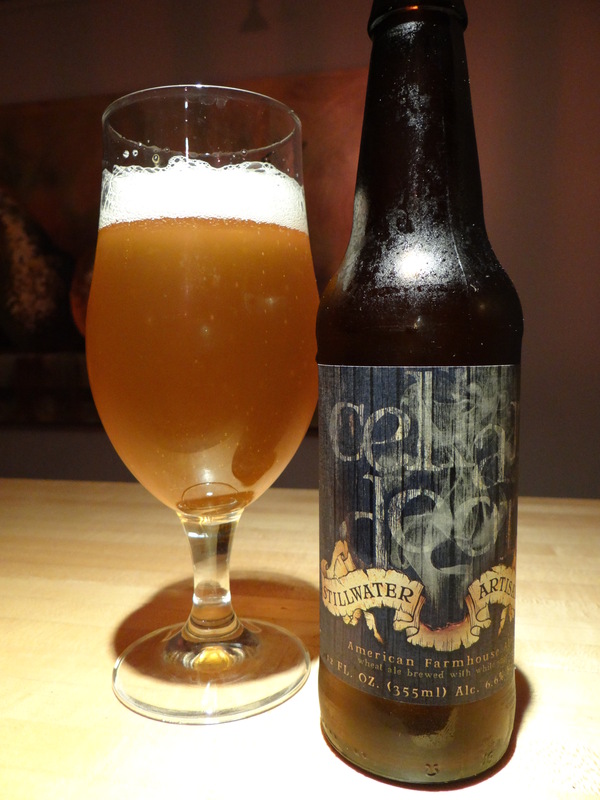 If you have trouble finding Cellar Door go with one of their other products like Stateside Saison, or Why Can’t IBU.